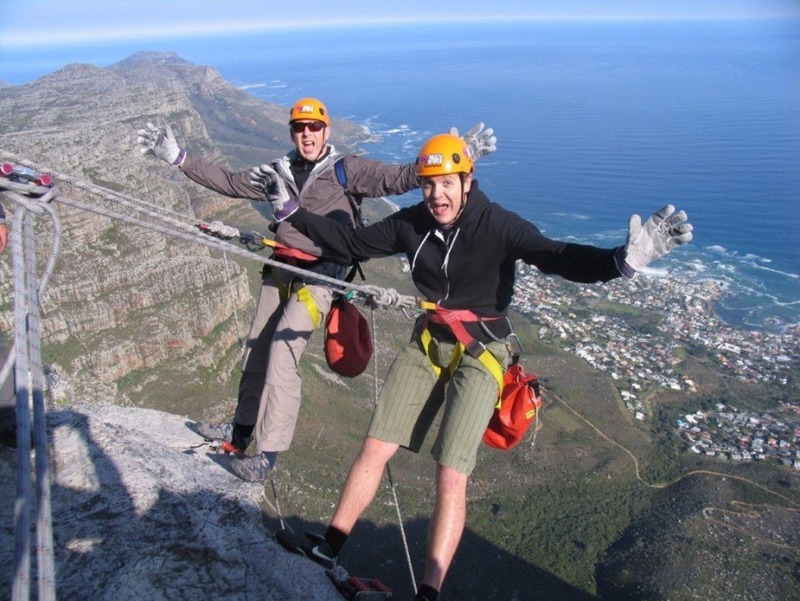 Experience the exhilaration and thrill of abseiling down a natural wonder of the world: Table Mountain! 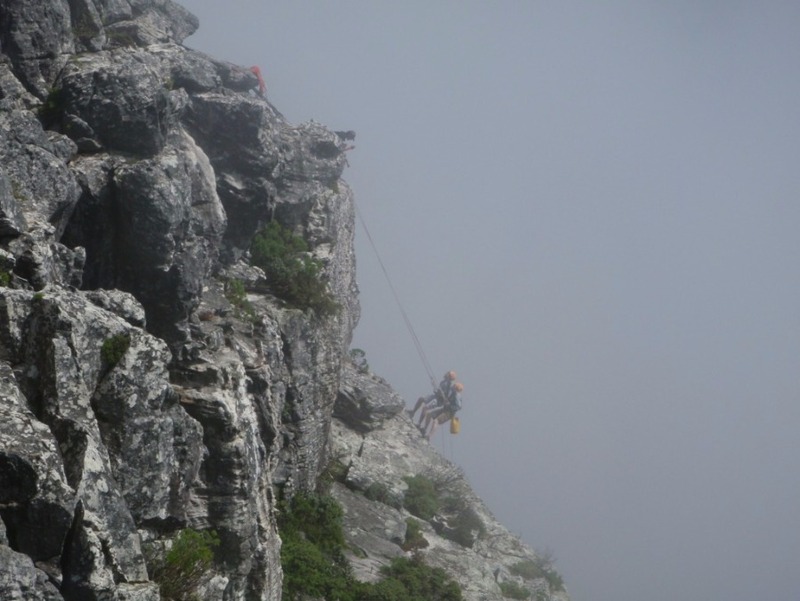 Abseiling Table Mountain is a thrilling experience of adrenaline and achievement. 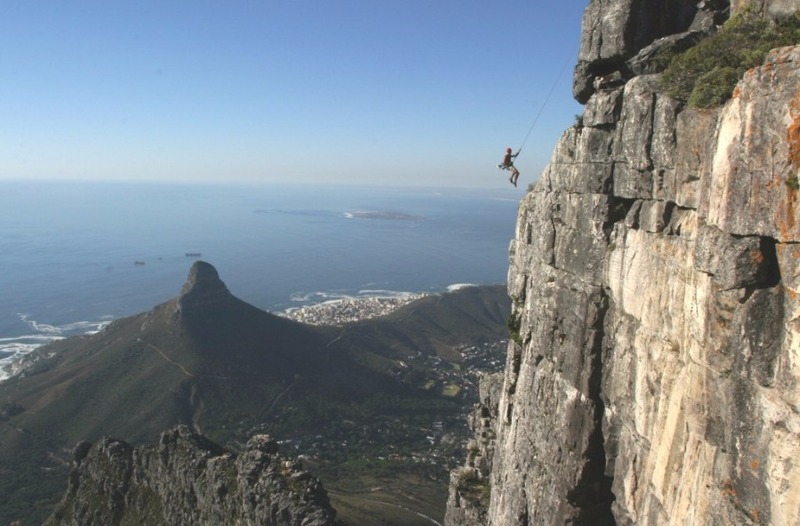 A 112 metre controlled descent off Cape Town’s magnificent Table Mountain. 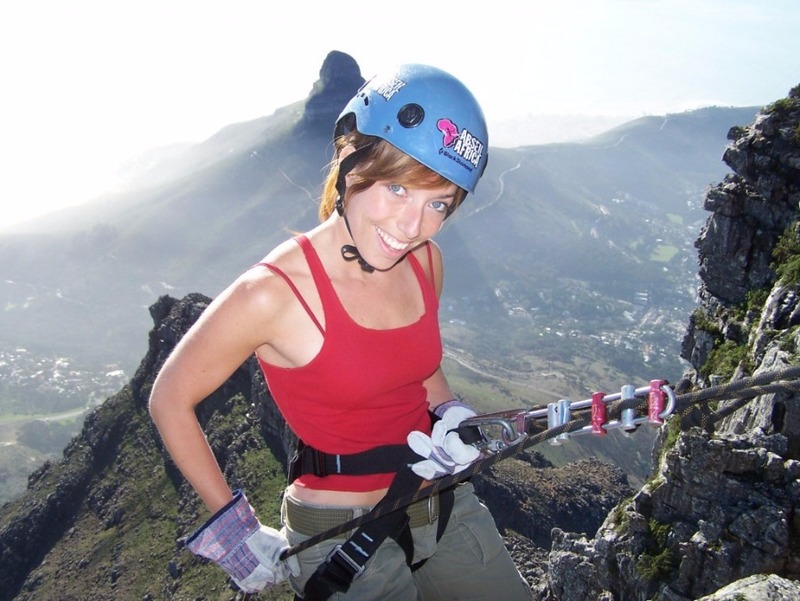 Step off the top, at 1000 metres above sea level, and abseil into pure vertical space. This is the world’s highest commercial abseiling point. You are surrounded by awesome views and the deep blue Atlantic at your feet. 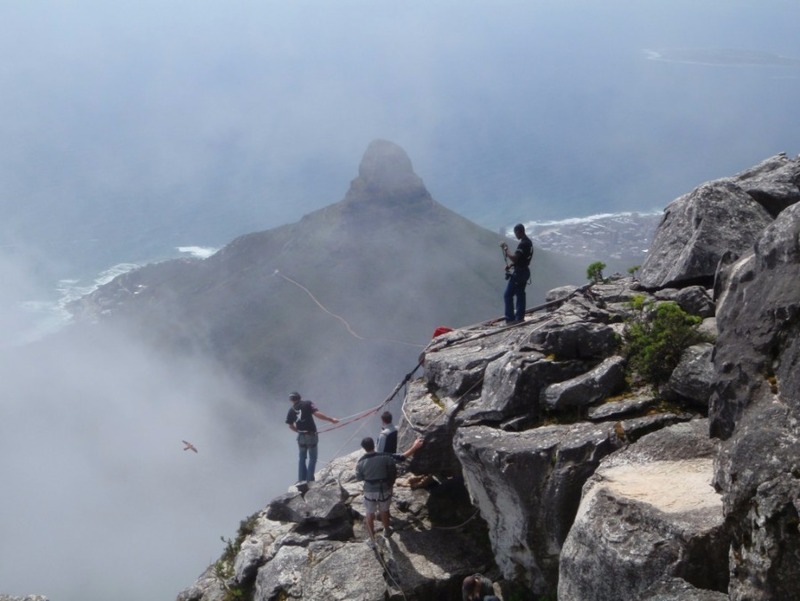 Departure point is from the top of Table Mountain, you would need to plan your own way up and down the mountain, either by Cable car or by combining this tour with our Table Mountain Platteklip Gorge Hike, to meet us at the top, for this mind-blowing experience. 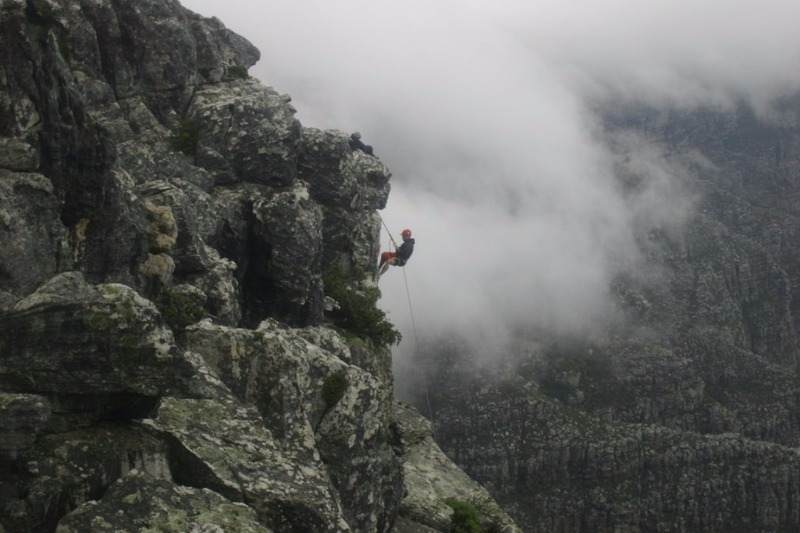 Abseiling also called rappelling, is the controlled descending down a rock face using a rope. Climbers use this technique when a cliff or slope is too steep and/or dangerous to descend without protection.